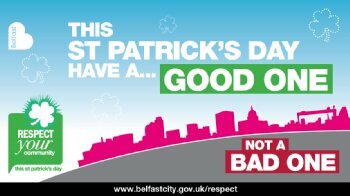 The Vice Chancellor of the University of Ulster and the President of the University of Ulster Students’ Union have urged students to enjoy St Patrick’s Day responsibly. Their message comes as Northern Ireland gears up for this week's annual St Patrick's Day celebrations. “As a University of Ulster student, you should be aware that you are a representative of the University both on and off campus and carry with you the good name and reputation of the University. “Be assured that the University will act swiftly against any of our students identified as bringing the University into disrepute through their behaviour on St Patrick’s Day. “Accordingly, we ask that you be respectful and considerate of local residents and the communities that you live in, in order to protect the reputation of your University and to foster good community relations.